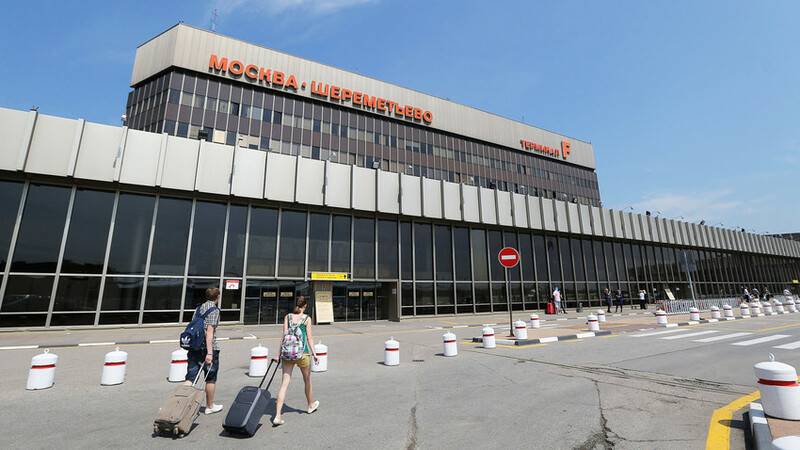 The fastest way to get from this airport to the center of Moscow is the Aeroexpress train, which has a station right in the airport building. With no traffic on the way, you’ll arrive at the Belorusskaya train station in 35 minutes, and from there you can get on the metro (Circle line), from which it’s convenient to go anywhere in the city. The first train leaves Sheremetyevo at 5 a.m., and the last departs 12:30 a.m. Tickets on the Aeroexpress go for 500 rubles ($8) at the ticket office and 420 rubles ($6.7) online. You can buy tickets in advance via the website aeroexpress.ru, or download the app. * During the 2018 FIFA World Cup™ football fans attending Moscow matches will be able to travel on the Aeroexpress free of charge, and there will be extra night trains. Check out the website for more information. Bus is a cheaper way to reach Moscow, but you might end up in a traffic jam. Another disadvantage is that the bus only goes to a metro station at the end of the line, near the city limits, so you’ll need another 30 minutes to reach the city center. - Bus No. 851 runs from 5:37 a.m. to 12:49 a.m. (and to 12:45 a.m. on weekends); 55 rubles ($0.8). Travel time about 50 minutes. - The so-called marshrutka mini-bus No. 949 runs from 6:45 a.m. to 9:45 p.m.; 80 rubles ($1.3). Travel time about 30 minutes. - Bus No. 817 runs from 5:22 a.m. to 12:08 a.m.; 55 rubles ($0.8). Travel time around 40 minutes. - Mini bus No. 948 runs from 6:45 a.m. to 9:15 p.m.; 80 rubles ($1.3). Travel time around 30 minutes. - Night bus H1 runs from 0:15, every half an hour, 55 rubles ($0.8). If you arrive at night and don’t want to wait for a night bus, then take a taxi. But don’t take one that’s already at the airport because they charge 5,000 rubles ($80) and more; in fact, the ride should cost no more than 2,000 rubles ($30). - City Mobil (available in English). The last two are available for booking in advance, but there are usually many cars in the vicinity of the airport that’ll pick you up in 5-10 minutes. When you arrive at the airport you can get online with free WiFi in the terminal, and book a car. They’ll probably ask you to call after passing through border control because waiting in front of the airport is free for only the first 15 minutes, and then it’s quite expensive. Several car-sharing companies are available at Sheremetyevo. You need an ID, driver’s license, credit card and a smartphone. You’ll need to sign a contract with a company in order to access its vehicle (you can also do this online). The leading companies are: Delimobil (click here to find more about access at the airport); Yandex Drive (available in English on Google Play); and BelkaCar (works only in Russian). You should download an app in advance to find the nearest car. All major car rental companies can be found at Sheremetyevo: Sixt, Europcar, Avis, and Rentalcars. You can rent a car online or by visiting the rental office. Booking in advance doesn’t influence the price much but it does provide greater choice of car models. If you’re rich enough or adhere to the notion that ‘You only live once,’ then Sheremetyevo offers a great option to avoid traffic and roads entirely. Go to the airport’s website for more information about helicopter rental - www.svo.aero. Arriving at another airport? Find out how to get from Domodedovo (DME) and Vnukovo (VKO) to central Moscow.